"Solid Japanese Language skill. Reliable studies." Our school supports hardworking foreign students. It has been certified as a proper school from Tokyo Regional Immigration Bureau. Visa qualification is 1 year or 1 year 3 months. We offer 1.5 year and 2 years courses. 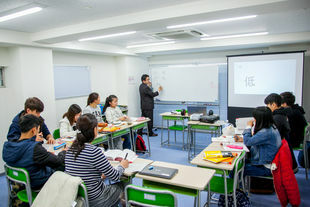 Our Japanese language education is conducted with new lesson styles such as tablets or videos. For new style classes, we made efforts to lent chrome-book (notebook PC) to our students. We have a tea room and Japanese traditional garden in our school facility, making it possible for students to come in contact with Japanese culture through daily life. 1．Everyday mini-tests and monthly tests are conducted to evaluate student’s academic achievements. 2．Personal guidance for students who wish to continue their studies in Japanese colleges or universities. Arranging educational trips to colleges or universities. 3．Specially collaborated programs with universities and colleges. 4．Student Aid programs including "Scholarship program" and "Supportship program" to fully aid and support hardworking students. 5．Safe and convenient accommodation facilities owned by school to provide students with safe and easy everyday life. 6．Japanese culture workshops provided periodically. Tea ceremony, Ikebana, Kimono, Calligraphy workshops conducted by specialized instructors. 7．We provide chrome-book to all student and using electronic resources for classroom teaching. Class will be conducted in average of 15 students. Specific teacher will be assigned to each class for purpose of more detailed guidance. Test and interviews conducted periodically, as well as tutoring provided to students who require extra help. Lessons conducted using tablet and electronic teaching materials, with special consideration on proficiency of lesson time. Scholarship will be provided to students with financial need in June, September, December and March. Eligibility required for scholarship application are: Distinguished result on Examination, Excellent Attendance and Self Motivation letter. JPY 100,000 will be awarded to (1) selected student. 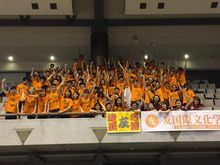 Students with excellent attendance and great academic achievements are provided with 6 month part-time jobs at Yu's Holding Company's office and delivery center (office work, data input, facilities' cleaning, etc.). Basic requirements are: job interview on Japanese skill level. Documents submitted will be reviewed. The applicant will be asked to sit for an entrance examination for testing his/her level of Japanese. An interview with the financial guarantor will be conducted if necessary.